Cycle & Sail Croatia's Southern Dalamatia Islands. 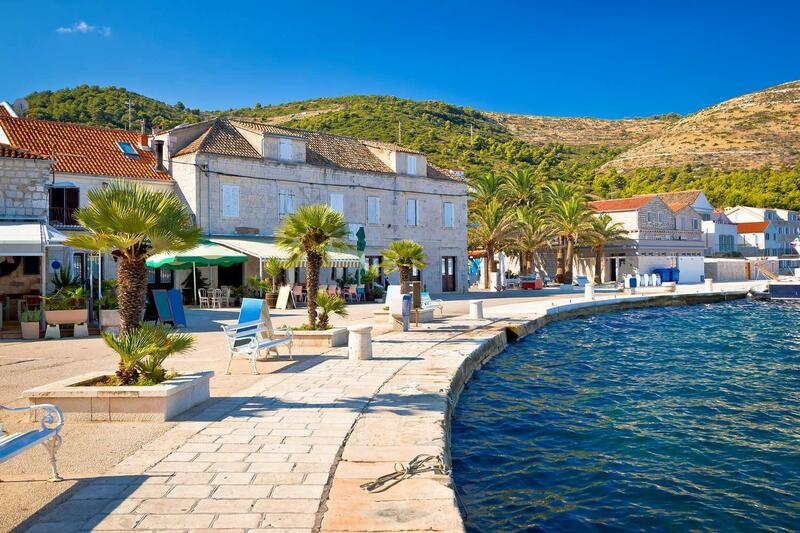 UNESCO ports of Trogir & Stari Grad. 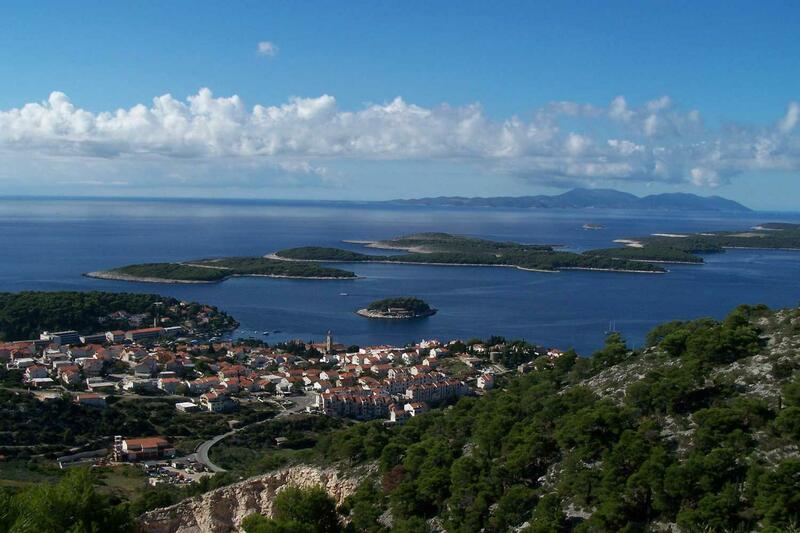 Cycle the Islands of Hvar, Korcula & Solta. Chilled Korcula wines, Posip & Rukatac. Bike and Boat Croatia’s Southern Dalmatia archipelago. 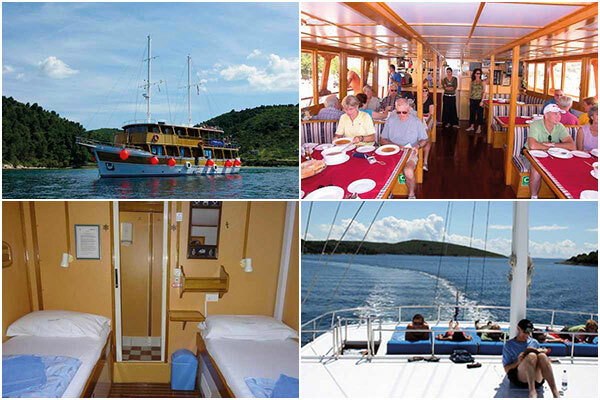 Sailing across the Adriatic, relax on deck before hopping off to cycle the islands of Hvar, Korcula, Solta and Brac. Roam the ancient UNESCO harbours and alleyways of Trogir and Stari Grad. 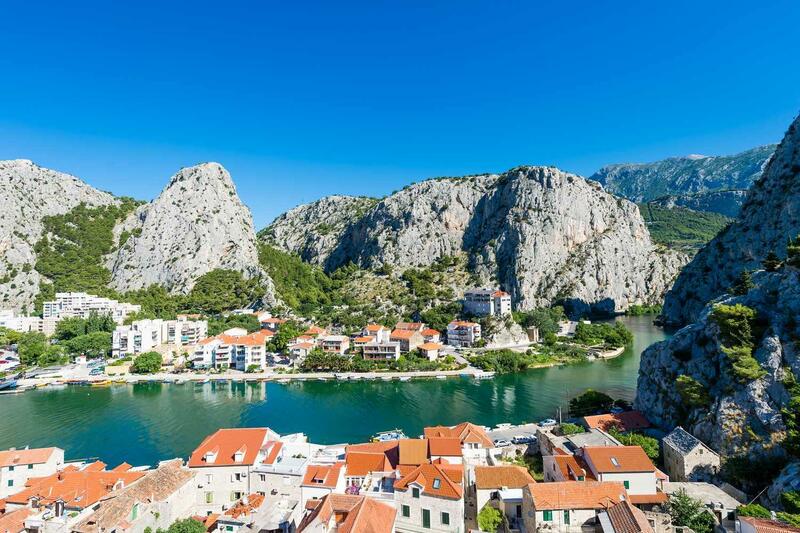 Succumb to the pristine beaches of Solta and cycle the dramatic Cetina Gorge. Pedal the lavender scented roads of Hvar and freewheel along some of Croatia’s finest coastline in Brac and Korcula. Return each evening to the comfort of your boat, to rest and unwind ahead of the next day of Dalamatian discovery. Easily reached from Split Airport, Trogir Harbour is only a 6km taxi journey. After a meeting your crew and fellow cyclists, it’s up anchor for an afternoon sail to the islandwhere you’re free to discover the historic old centre, cafes and popular market. Boarding is between 2.00pm-2.30pm as the boat sails at 3.00pm. Early luggage drop is available if required. Hop into the saddle and cycle along olive and fig tree lined road as you ease yourself into the first day of cycling. Returning to the boat, head across the waters to Hvar. 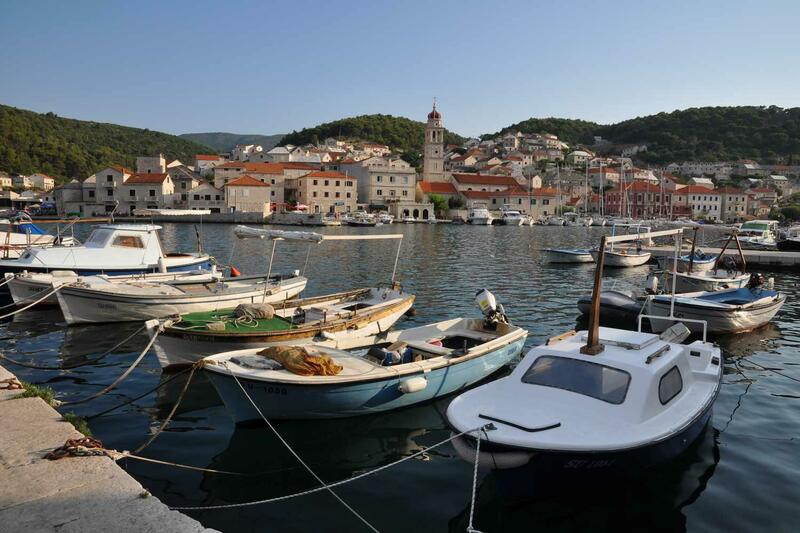 Cycling across Hvar visit the quaint harbours of Jelsa and Vrboska before returning to the local artists hang-out of Stari Grad. A morning ride through the sleepy roads of Hvar eventually leads to the grandeur of Hvar‘s Renaissance Square. 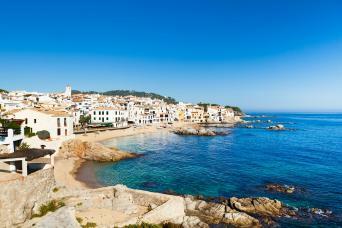 Here head to the panoramic viewpoint at the Spanish Fortress, high above the city. Later, it’s off the bikes and back to relaxing on deck as the boat sails towards the island of Korcula. 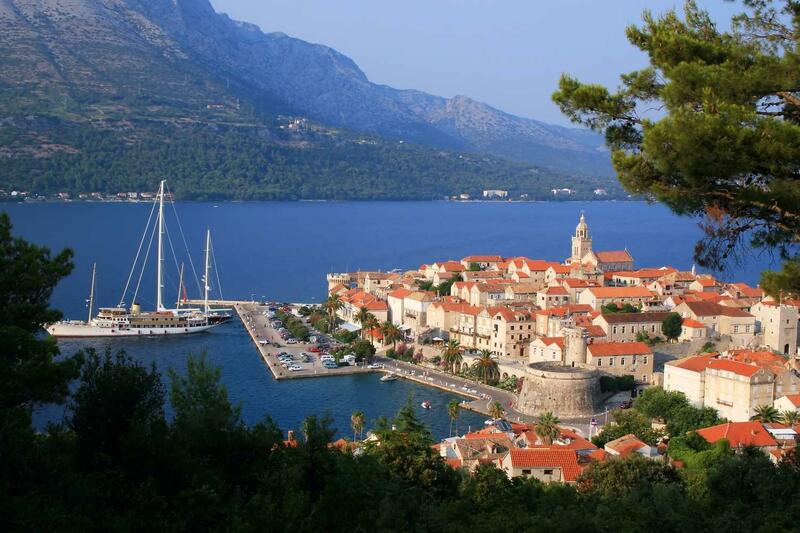 Steeped in age-old traditions, sandy coves and dense woodland, today you’ll discover the rich offerings of Korcula. Cycling the coastline to Pupnat, there is time for a quick dip before heading inland pedalling to the hilly village of Blato. The last stop of the day is the narrow, cobbled streets of Korcula Old Town. Sailing to Brac, today we stretch the legs a little further today a steady. A simple climb leads across the shimmering island of Brac, known for its white marble. Take in panoramic view points across the Adriatic before enjoying sweeping descents through fig, olive and kiwi groves. 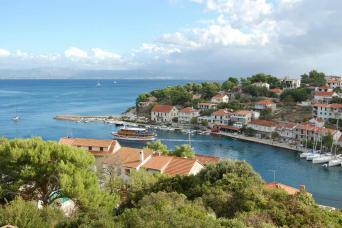 After lunch cycle via the traditional fishing village of Povlja and if there is time, Pucisca. After a short morning sail to Omis, hop off the boat and onto the bikes as you pedal through the spectacular limestone Cetina Gorge. Carving through the karst mountains, the River Cetina has produced some outstanding rock formations, most of which you will see at Omis. 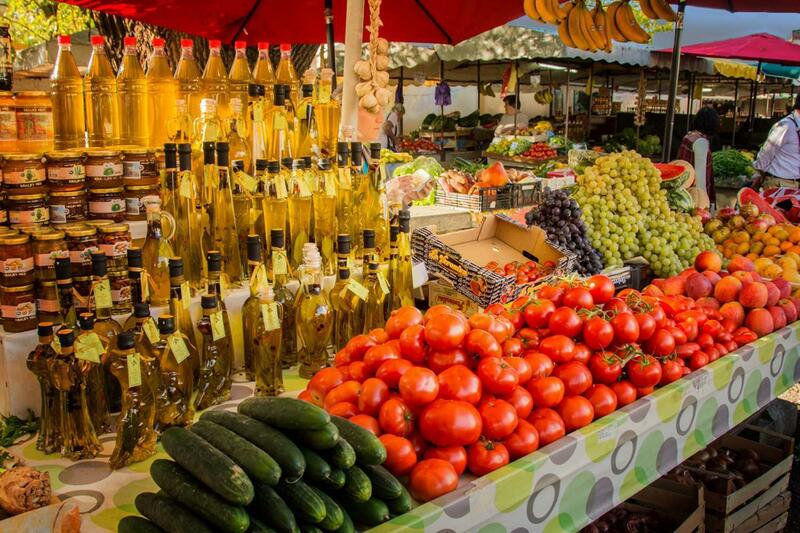 Later in the afternoon, rejoin the boat and sail to the old town of Split where you can explore the palace of Caesar Diocletian and enjoy relaxing at a pavement café. The last morning ride ascends the rewarding Mount Marjan above Split. Offering far reaching views across the old town and the rugged Dinaric Alps, the descent back to the boat is an easy freewheel. The it‘s up anchor and an afternoon sail past the cliffs of Ciovo before arriving into Trogir harbour. 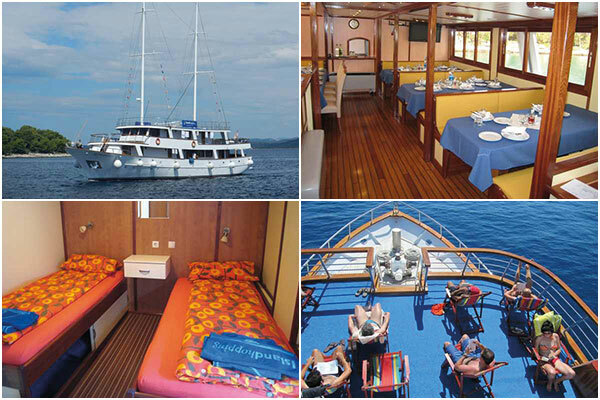 Here you can further relax on board or head out on foot to explore Trogir. After a leisurely breakfast, you may have time to explore Trogir some more, or alternatively, the crew are happy to advise on travel arrangements to the airport. to an upper deck cabin. Your boat is always docked at night and only sails during the day. arrange a single cabin, which is subject to a supplementary payment. Breakfast is included each morning. Also included are 4 days at full board and 3 days at half board. Your onboard crew will be able to recommend local places to dine. Please let us know at the time of booking if you have any special dietary requirements. 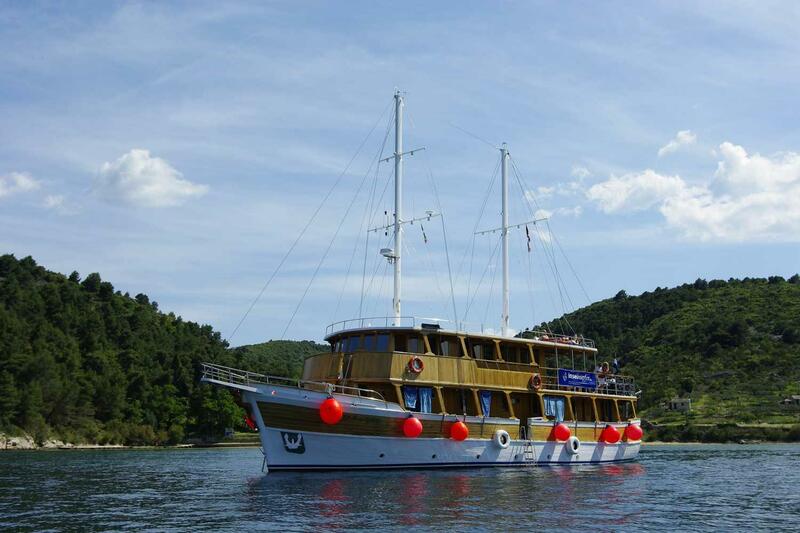 At 27 x 7m the Kapetan Jure has notched up an impressive 100 Adriatic tours. The spacious salon is decorated with shells, amphorae and showcases of sailor’s knots. At the bow a mermaid keeps watch for the safe navigation of the ship. The Kapetan Jure provides 15 cosy guest cabins each with air conditioning, shower and WC. Due to the shape of the ship's hull the size of the cabins may vary. A spacious living room suite on the quarterdeck and a sundeck with cushioned sleeping mats play a part in contributing to the welcoming atmosphere, inviting you to relax and take in the sun and surrounds. the stern enables easy admittance for a swim in the Adriatic Sea. plans as soon as possible to secure the sailing date of your choice. Please note that Croatia Bike & Boat tours require a minimum number of participants for this departure to go ahead. Confirmation happens as soon as the minimum number of participants has been reached. For more information, please speak to one of our team. will also be available throughout your trip. safety mudguards and a comfortable Selle Royal touring saddle. Please do supply us with your height when selecting your bike. sailings depending on local weather conditions. arrange transfers on arrival. Split Airport is served by most European and low-cost carriers. through the Neum Corridor (a 22 km stretch of road Bosnian coastal territory). We strongly advise allowing for extra travel time as there are often lengthy delays when passing through the Neum Corridor. We are often asked the following questions, so hope that you will find the answers useful. Please do not hesitate to contact us if you have any other questions or for more advice from our team. Due to the limited number of sailings, we suggest you book as soon as your plans are finalised to secure your cabin. This cycle tour is graded moderate. Most days you will still from sea level and begin with a steady climb up the villages and town of each island. There is always more than enough time to take plenty of breaks and pedal at your own pace and the guide is always on hand if you have any questions. This tour is well-suited to weekend leisure cyclists that enjoy pedalling to discover new places. You also have the option of skipping the cycling and relaxing on board. 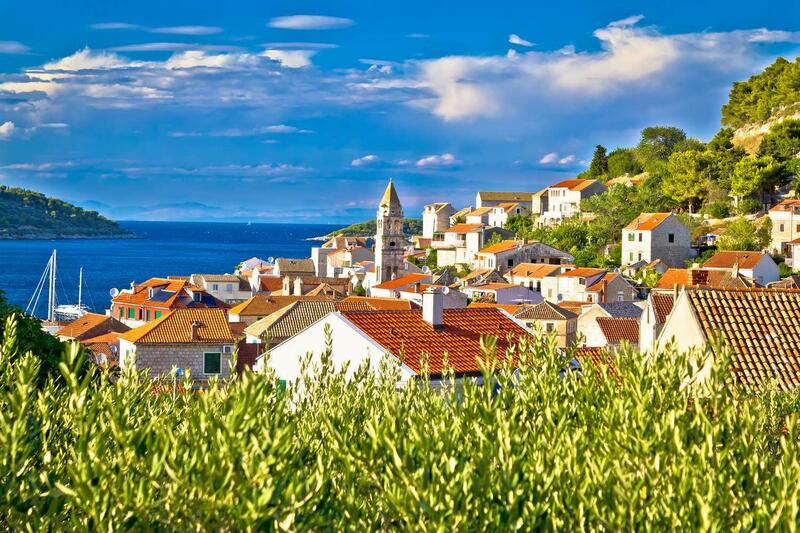 Croatia boasts a sunny climate from April through to October. June to September are the hottest and busiest months and brim with life and festivals. If you’re after cooler temperatures we’d suggest travelling in April, May or October. Regardless of the time of year, due to the nature of this trip, you’ll never have to stray far to find a quiet cove or picnic spot. Our pre-departure information pack has detailed advice and a kit list on what to take. You’ll need to wear a helmet, which are not supplied so please bring your own. If you have any questions about what to take then we’d be happy to share our own top tips and advice. What happens if I want a day off the bike? You’re more than welcome to relax on deck as the ship sails to the next meeting point. Depending on the daily scheduled there should also be enough time to get out and explore on foot. A wonderful week of quaint harbour towns, low traffic roads, beautiful views of the Adriatic, terrific cycling guides and crew. We loved the entire experience, and hated to get off the bike on the last day, and hated to leave the next morning. The guides (Dora and Marko) were very well-organized, and communicated extremely well as to what the plans for the day/week were. The e-bikes took away the apprehension of not being able to do the climbs (for people who are not regular, avid cyclists). And Marko's discussion of Croatian history was very informative. This was a Once in a Lifetime Trip! This was a fabulous trip, very organized, very responsible and knowledgable guides, awesome food, awesome weather, great boat captain, and a good variety of activities. Our only negative was that Mac's Adventure's description of the trip was misleading. 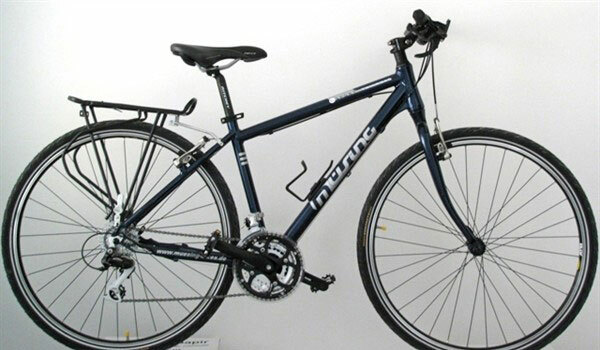 Your website described it as a good option for the weekend recreational biker with daily climbs of a few kilometers. In actuality, it was a difficult ride each day with climbs of 5 - 10 kilometers and some steep grades. Island Hopping confirmed that it was a strenuous itinerary. We absolutely loved the trip, but had we known the difficulty, we would have rented E-bikes. Other than that, we appreciated all of the timely communication with Mac's Adventures. Island hopping is the only way to see Croatia! This was a fun and well managed tour. It was much more strenuous than we expected, however, the e-bikes were a life saver! I'd highly recommend them if you are a weekend flatland biker as we were. The crew of the Kapetan Jute and our Islandhopping.com guides Mirna and Fran were the BEST!! Great trip but you need to be a very fit cyclist! A great adventure that we thoroughly enjoyed. But unless you are a regular fit cyclist used to regularly riding up hills for more than a few km's, and from sea level to a few hundred metres then we would recommend that you book an ebike well in advance. Expect to be flexible with itinerary especially during the busiest of the summer months. The food provided was excellent and plentiful although a menu would have helped. With the exception of tea and coffee during the breakfast hour, all drinks including bottled water must be paid for. More meals were provided than our info pack indicated, in fact all but one lunch and one dinner were provided on board. I would recommend this trip with the following information understood: The cycling is rigorous. Because of boat schedule, you don't have all day to do the distances. And it is a guided trip, not self-guided at all. We were on the Island hopping bikes, heavy, but good gears so the hills were fine, but there are hills! If you don't ride hills regularly you may need an E-bike. Half our group were on E-bikes and they had to wait for the rest of us frequently. We love the scenery by bike and stopping for a closer look at farms, vines, etc, so that should be planned for by the guides. Our boat was Kapetan Jure; comfortable, but moderately sized. With our own small room of 2 single beds, and a small ensuite bath it was basic but all we needed. There is some noise between rooms so be prepared. The trip is organized through Island Hopping so if you need more luxury choose Princess Diana ship. However, our guides were fabulous and fun, meals substantial with some Croatian favourites, and a range of options for breakfast everyday. The beer is fine, but the wine is not good. You have to buy the ship's wine so that needs to be fixed. The people we met were from diverse countries and wonderful travel and bike companions. If going as single or couple, find out if the tour is booked by one main group as that would possibly change the dynamic. One issue with the boat is that it is busy in the ports. The ship has to raft up with at least 3 other boats so you are not in idyllic Adriatic coves or island shores while in port each night. Only one night was noisy. Most people even in Split respected the 11 pm curfew. Only one day we had a mid-bike ride excursion to a bee-keeper - very good. More of that type of activity needs to be planned for the wineries, farms, etc. Sometimes there was a hurry to get to the next port as the ship had to sail. We had a good tour of Split one evening. Swimming off the boat in the Adriatic waters was lovely. I loved every minute of this holiday. From the challenging cycle rides, the wonderful crew and guides, the lovely boat and, of course, beautiful Croatia. We thoroughly enjoyed our time with Island Hopping. The guides were great, very informative, funny and well versed in the area. The accommodation was adequate and very comfortable as we prefer smaller group tours. Food was good, but we felt too much and perhaps a bit less would be best. Cycling was great, though on a couple of occasions the roads were quite busy. Would have preferred to stay in Korcula for a longer period of time. All in all a great trip. Day 1: Arrival Trogir, sail 3.00pm. Day 2: Hvar & Solta, 40-45km. Day 4: Korcula Island, 60km. Day 5: Brac Island, 30km. Day 6: Omis & Split 25 / 45km. Day 7: Split & Trogir 15km. Graded moderate, this tours cycles along country and coastal roads that require some pedal power. Starting each day from sea level the first few km's are a steady uphill ride but the days do finish with a freewheel back to the boat. Daily guided rides provide a relaxed pace with time for you to discover quiet coves or enjoy a a local seafood lunch. At the end of each cycling day you'll hop back on-board your boat for dinner with your fellow cyclists.